What’s one of the hardest moving targets for leaders to hit when it comes to change? Why would you want to create a branding guide for your district? Why is the common language so important when articulating what change means in your school? 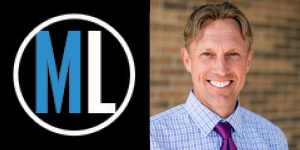 In this episode Will Richardson talks with Dr Art Fessler, who’s the superintendent of the CCSD59 in Arlington Heights, Illinois, which is a district Will has visited on a number of occasions over the past few years to see first-hand their efforts to bring a highly traditional school into the modern world. 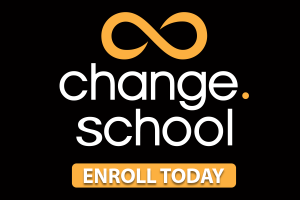 Out of all the schools he has visited, he believes no one is doing a better job of communicating what real change looks like to the community than this one. Dr Fessler was appointed Superintendent for CCSD59 in 2013; prior to that he was Superintendent at Oak Lawn-Hometown District 123 for 3 years, following nearly 13 years in Principal and Assistant Superintendent positions. How do we prepare the kids to be successful for their lives? The value of leaders modelling as learners. The importance of moving from a deficit model of learning to a strength-based model. What it takes to drive a new paradigm and ask teachers to step out of their comfort zone and start collaborating with others and sharing their great ideas. What are the secrets to breaking old habits? Teachers have a lifetime of experiences that are contrary to what we’re asking them to do. What can you do to help them see benefit in changing practice? What is the biggest change between a classroom that articulates the District vision versus the traditional classroom? The benefit of asking what you want your kids to learn and then how does that learning connect to our vision of learning? How can we get your teachers to ask deep, powerful, meaningful questions? Is there still a role for recall? Exploring some examples of a different type of ‘flipped learning’. How can we ensure our kids actually learn how to be learners; that they’re asking the questions? The value in teachers understanding how children learn, and what role devices can play in their learning. How do we get kids passionate about coming to school? The importance of student autonomy, and the benefit of granting student’s agency over their learning. Who should control content, when and why? What we can learn from understanding how students learn outside the classroom. The benefits of transparency. Examples of the resources that schools can use to better communicate across all sectors of their community. How transparency impacts on change. How vision, branding and change should connect to bring a community together. Why culture is so critical. In particular the importance of building culture in a time of significant change. The importance of the conversations that parents are having with their children about the changes in their schooling. How to address the challenges of change, and where a leader’s first focus should be. Why would you want to create a branding diet for your district? Why is the common language so important when articulating what change means in your school? Hey everyone, I’m Will Richardson and I want to welcome you to season one of the 2017 Modern Learners Podcast, where this year, we’re scouring the world for schools and districts that are raising the bar when it comes to thinking about relevant, sustainable change for their students. In this episode, I interviewed Dr Art Fessler, who’s the superintendent of the CCSD59 in Arlington Heights, Illinois, which is a district that it’s been my good fortune to visit on a number of occasions over the past few years to see first-hand their efforts to bring a highly traditional school into the modern world. Out of all the schools I visited, no one is doing a better job of communicating what real change looks like to the community than this one. I know you’ll enjoy our talk. Remember, if you want to learn more about this podcaster is, about our white papers, master classes and about our new eight-week course on modern leadership that we’re launching in March, check out our private modern learners Facebook group or head on over to modernlearners.com where you can sign up for our amazingly informative weekly newsletter that tracks all the opportunities and challenges of learning today. For now, I hope you enjoy my 40-minute conversation with Art Fessler. Thanks for listening. Dr Art Fessler: Probably a relevancy, just reflecting on my lifetime as a student and then now, an opportunity to really make schools relevant learning places that I’m almost sounds like an oxymoron but it’s not happening at the degree nationwide that it should be. We continue to ask ourselves, “How do we prepare the kids to be successful for their lives?” Our answer is really about helping to design and develop learning experiences for kids that are relevant and meaningful and hopefully, at some point, will be applicable in their lives. We spend a lot of time having conversations about what that looks like in the classroom. If we think we’re in business of developing learners who learn, what does that mean in the context of this century? Will Richardson: Right. Do you see relevance as a moving target? Dr Art Fessler: Yes, I think it has to be and I think the problem is that education is one of those institutions who does not do well with hitting moving targets. We’ve clung on to that status quo. I don’t know whose quote it is but I’ve read somewhere that, I think it’s a Tony Wagner quote, where he talks about how teachers generally emulate their favorite teachers from when they were in school, who emulated their favorite teachers from when they were in school so you can see how that goes back to two hundred years of emulation, and as a result of that, we’ve not changed much. I think relevance is a moving target and it has to be. I think what we need to do though is to recognize that and adjust it and redesign what we do to match that moving target or to try to hit it. Will Richardson: I think one of the things that’s really impressed me about the work that you’ve been doing in your district is that you do a lot of capacity building and it feels like at least, just from the visits that I’ve made and also from the things that I’ve seen that you put online, that it really is a lot of investment in helping people understand what relevant means now, right? I’m wondering if you can just talk about some of the best strategies that you use to help people define that relevance target from where it is right now right? That it’s constantly changing. How do you do that because it’s not an easy thing, right? I mean it is constantly moving. How do you do that? What are some of the things that you found that have been successful on that? Dr Art Fessler: First of all, in anything that we do as a leadership team, we try to model types of behaviors that we would want whether a building leader or a teacher to do with their student or their peers. We’ve spent a lot time trying to build a deep understanding of what 21st century teaching and learning looks like. That’s a different classroom. It’s a classroom where there’s much more student ownership of the learning than adult ownership of that learning. We told our teachers that,“if you’re the hardest working person in your classroom, then you’re not doing your job correctly.” The kids have to be the hardest workers. We’ve told our principals the same thing. “If you’re the hardest working person in your building, then you’re not doing your job correctly.” You’ve got to ask good questions and student like conversations and bees out lead learners. We try to start with building a foundation of what 21st century practice looks like and a big shift into skill focus. I believe strongly that without effective leadership at every level, your things cannot be done. We have regular conversations with our leadership team meetings that cascade into conversations at the building level that really focus on teaching and learning. The one thing that we have seen in our schools is the significant shift from conversations about what’s wrong with our students? To really the flip side of what can our students do? Really moving from that deficit model, which is a huge shift that we’re making in our district to a strength-based model. What do our kids do well? How can we leverage that to continue that learning path? Maybe they need to explore some things that they wouldn’t normally be4 interested in because we think interest-based learning is significant but there’s still a lot of other things that kids need to learn and need to develop that they may not initially be interested in. I would say that a huge shift for us and it’s a big celebration for me is when I hear a principal saying that their conversations and their buildings really focused on learner’s learning and their focusing on the good things about teaching and learning and not the negative aspects, some of the politics or other issues that we have to deal with. Will Richardson: I was going to say sadly that it is a big shift, right? That we’re moving more towards inter-space learning, which I think you would agree, is probably where we should have been all along, but for whatever reason, we’ve never gotten fully to that place in schools writ large. There’s a push there, right? There’s a real challenge to those traditional stories and traditional ways of thinking about education both probably the teacher level or the parent level. How do you make that a little bit easier of a shift to make? It goes back to building capacity thing. The conversations are a piece of that certainly, but what are some other things that, yes, go ahead. Dr Art Fessler: That’s an awesome question. Again, I think it all falls back at the shoulders of leadership. I think for too long, we’ve overlooked the importance of the fact that leadership and as a result of that, we have a huge significant void in our approach in training our leaders because if you look at the traditional model of education, it truly was teachers closing that classroom door. Going in and working their magic, doing amazing and awesome things with kids but doing the same awesome and amazing things year after year, which really developed the status quo. I think in this new paradigm of approaching shift and thinking, we’ve opened the classroom doors. We’ve asked teachers to step out of their comfort zone and start collaborating with others and sharing their great ideas. If you infuse effective leadership with that, and those leaders who are truly growing themselves so they can grow others and be a lead learner, I think that’s the intersection where awesomeness happens and then new ideas are shared. The combination of leadership, sharing what they know and what they’ve learned. The teachers sharing what they know and what they’ve learned. I think when that collaboration comes together, that’s where we’re seeing these big changes in education. Again, for so long, teachers just really enjoyed being in their classroom, keeping to themselves and working with their students. There’s a great efficiency in it and that we’ve seen great successes. I just don’t think that that’s no longer an acceptable practice and what we’re seeing now again, is that strengthen numbers. Our teachers are working together and sharing their ideas. Now, with what we can do with technology in collaboration across our schools and even across our school district and even at some of the things we’re doing, Skypeing to other states and countries, it really has blown my mind. Our teachers, when they begin to taste a little bit of success, I can just see their interest and passion growing, which is so cool because it’s a great model that then the light goes on and they say, “Hey, our students can benefit from this as well.” Again, just a simple notion of collaboration and sharing ideas and working together has really exploded in our school district. I also see that our teachers are getting to that relevance point that they see that that’s not only important in school, but this is how much of the work world now is functioning as well. That connection and all those things coming together is really helping us to design something that our teachers really believe in, want to learn more about and that’s growing their capacity. Will Richardson: What do you think is the hardest part of that for teachers, when you think about that moving target conversation? Dr Art Fessler: It’s an old habit. They’ve got a lifetime of experiences that are contrary to what we’re asking them to do. An entire lifetime, if you look at one of our big struggles is to what happens to our kids when they go to high school? Will they be prepared to play that game of high school which is to play the game to get ready for college? We have that conversation with our parents but we’re telling them that the skills that we’re helping the kids to develop will help them to problem solve, to react, to retool as necessary and they’ll figure it out. They’re no longer these robots. We’re going to tell you what you have to learn now. Listen, sit down and go from there. We’re challenging kids to think outside of the box but with the adult learners, it really is challenging when they have a lifetime of habits that are contrary to make these changes and for me, the most significant piece is the messaging because what I’ve learned, the significant lesson that I’ve learned is that people hear things based on their experiences. My experiences are very different now as a leader. I’ve spent the last 15 years really working at, changing my way of thinking and leading and sometimes, when I message things, I’m thinking that the person I’m talking to may have the same perspective. In many cases, they don’t. What I say and what is heard or what the principles are, or one of our district levels of messages that go to the building, when that’s relayed, or even the professional training that occurs, happens, it’s interpreted so differently by so many people. That has been a significant surprise to me that all people don’t hear the same message but again, it’s so much in entrenched in their past experiences. Communication can be challenging. As they say sometimes the biggest misconception about communication is that it occurs well, I’ve certainly experienced that in this work. Will Richardson: Is part of it that people don’t often have a common language or a common understanding? I’ve been to a lot of schools where if I took 20 different people and I ask them to define success, I’d get 20 different answers. Do you work on that as well? I’m just saying, well, what do we mean when we say success? What do we mean when we say achievement? Those types of things. Dr Art Fessler: Yes and we would try to establish some kind of vocabulary and I would say that exist but I think what we’ve learned is that all people learn by doing. What we’ve tried, in addition to establishing clear vocabulary, is we’ve tried it to continually focus of doings. Right now, a big focus on our district is Backward Design and really understanding the big picture, how to assess it and then how to plan for every kid. That, to some people, if you’ve never done it, people are really quick to say, “I already do that.” But it’s so significantly different than objective, plan, assess but some people just can’t hear this. What we’ve tried to do is to develop some experiences, some training experiences where you go through our coaches or our principals. We’ll design lessons together with our staff. Use that vocabulary in context while still doing design elements together. We’re truly asking our principals and our coaches to get in the trenches with our staff and do that work. As you know that certainly build credibility, a deeper understanding but to get rid of a little bit of the confusion because at the end of the day, our outcome is the powerful relevant learning for our kids and that helps get passed that. Otherwise, in a school district, we have a thousand staff. It’s just really hard to get everyone on a clear definition of what learning looks like or what success looks like, or planning or the powerful learning. That remains a challenge, but again, we’ve tried to move closer to more engagement and learning by doing as a strategy. Will Richardson: Which I’m sure is a vision for your kids and what your kids are doing in classroom as well, right? Will Richardson: There’s no difference right? Dr Dr Art Fessler: That’s our hope. Will Richardson: It’s kind of on that common language thing too. I think one of the interesting things or one of the interesting answers I get when I talk to leadership too who are particular people who, like you, are involved in these big change initiatives is, well how do you define change? What is it? If I asked you, what would be the biggest change between a classroom that articulates your vision versus the traditional classroom? What would it be? What would be the difference that we would see? Dr Art Fessler: Well let me start first with that “why.” When you mentioned the word vision, that’s the critical part of the work and our vision is we want to prepare kids to be successful for life. Some of the work that we’re doing with our teachers right now is to ask them to have a vision, to create a vision for learning in their classrooms. If I’m a Language Artist teacher, what is my vision for my student’s learning over the course of the year? If I have this kid for one year, and I’m a literacy teacher, what’s my vision? I’m hoping it would be something like, “You’re going to be an effective communicator and you can write, you can speak and you can talk to people clearly.” If that’s your vision, how do you break that up over the course of the school year and then achieve that vision instructionally versus, “Okay, today I’m going to teach this stuff. Tomorrow I’m going to teach nouns, pronouns.” It’s disconnected so one significant difference in the changes that we’ve made is that we’ve tried to be really deliberate in our practice. One thing that we’ve really changed is our mindset that if this is the learning that’s going to happen today, make sure it’s connected to our bigger vision for the scope of the learning of the school year but then, how are we assessing, providing feedback toward that learning outcome? Which is really different is how do we plan to meet the needs of every kid? We have such a huge diversity education across the United States that our classroom, if you get a third grade classroom, you’ll probably get a collection of kids with skills from Pre-K up to probably 5th grade. It’s no longer this one size fits all approach for planning. The assessment piece more than ever is so significant and we’re trying to utilize different strategies where our teachers have more time to allow kids to practice and then give them very specific and deliberate feedback while they’re in classroom. That’s a huge change. Again, moving from that one side sit tall approach to more medium of needs of our kids and then we’ve also tried to just flip the notion on the person that has to do the talking is doing the learning. How can we get our teachers to ask deep, powerful, meaningful questions and how do we get them to ask the right recall questions because we understand that without some of those typical recalls foundational. They’re not going to get to the deeper understanding or higher order of types of questions so when we talk about the flipped classroom, it’s not so much with the technology. It really is flip in terms of we want teachers to facilitate learning. We want our kids to actually learn how to be learners. They’re asking the questions. We’re not just telling them what to know. For studying, wars for example, we no longer have to look at the civil war or the revolutionary war. We might look at why is there war? That kids interest direct the different types of wars and compare and contrast and look for similarities and things like that. It’s much more exploration than just moving through content and then having a test at the end of whatever that content is. Will Richardson: Right, so what you’re talking about there is student agency or a lot of people are saying giving kids more choice and voice and things like that. How far do you go with that? I mean, there are places that think that kids should own it all, should be a hundred percent in charge of what happens in their learning, in their education and then obviously, there’s the other one than spectrum which is all teacher-centric and teacher-organized and all of that. Where do you fall in that spectrum? Dr Art Fessler: Well, in our case, we’ve designed a learning experience around the set of skills. For us, it’s mastery of skills and we do have some prescribed content that aligns with that piece. For us it’s the combination, we certainly want kids to explore as much as they want with the event of the internet. Kids learn so much differently now than they have in the past. Even resembling that in school becomes a challenge and your question is a great question for that. How closely can we resemble, what kids do out of school versus what they do in school and that’s a big challenge for us but we are trying to harness to some extent. Will Richardson: Is that part of your vision? Is it partly to make learning experiences inside a school match more closely learning experiences outside of school giving the context that we’re working with right now? Dr Art Fessler: Our vision is to develop learners who learn and then also to provide all tools necessary for that to happen and beyond that, it’s choice. There is a lot of learning that occurred before this whole device explosion happened. There’s a lot of learning that occurred before the internet but with those tools, access to that learning and choice in that learning, it’s really exploded and blown up what we can do with teaching and learning in school. Our goal is again, to develop learners who can learn and then understand what tools help them really accelerate that learning. We have a lot of devices. I think our kids have a chromebook as well as a tablet. We’re an elementary school district so they have access to tools and they all have very different uses. It’s really cool to see kids decide between their chromebook and their tablet but they do it and they do it for very deliberate reasons. So I would say yes and no, I mean, we want kids to learn and we want to give them the tools to do that. We want to just make sure that our teachers understand really how kids learn and then also to amplify that as well through how they facilitate learning in their classrooms. The sit and get, that’s something that in some cases has to happen a little bit but when we do it, I’m hoping that it’s very deliberate. Otherwise, we want engaging in something that we’re just helping them to build a passion about school. One thing that we talk about in District 59 is that at a certain grade level, in the old regime, whether it be third to fourth grade, kids begin to dislike school and I attribute that largely to the type of learning experiences that we’re developing for our students. One thing that we’ve also tried to talk about in District 59 is how do we get kids passionate about coming to school. That has to come through student autonomy and agency and choice and having the right tools. We were designing our learning spaces to make them look like a comfortable learning area, a modern learning space so we’re trying to provide every opportunity for our kids to really restart their learning potential but in terms of looking like what it looks like out of school, thinking of my own kids, they spend a lot of time on devices and I’ve tried doing a rule that it has to be 50-50. Get outside and work on your soccer skills and your basketball skills and then you can have some device time but the things that my kids work on out of school, I mean I’m sure there’s some learning experience that connected to them well but it’s largely video games, different type of application work. Not a whole lot of really traditional learning experiences but I do think that there’s some learning that they’re experiencing. Will Richardson: Yes, and I’m sure that they’re learning about those video games on their own. I mean they’re not just learning by playing the game but they’re also going out and they’re learning from others how to play the game and what strategies to use and all those types of things we’ve talked about and we see that with kids in Minecraft, all those types of gaming environment. I guess as you were talking, I was wondering if you get a sense that your students are expecting that type of learning more and more in schools now. Dr Art Fessler: Yes, I think they are and I think the interesting thing is, looking at some of the things that are coming out, some of those softwares that are trying to go after the gamification, in my mind, I’ve not seen anything that has looked effective and in fact, in watching some of the things that my own children do in terms of stuff they bring home from their school district, it’s not a positive experience and I know that they’re going after that gaming aspect. There’s just a long way to go and one thing in our district, in 59, we’ve been very careful to really jump on board with any of those types of things. We really have left it up to our students and our teachers in terms of what types of apps they use and I think in a couple of years, when the smoke clears, we’ll look more closely at what’s been effective, what looks good and I think the other pieces, the rate of this technology explosion that, you know things do continue to get better every year. We’re optimistic about that. I think I knew how to answer your question though. I don’t don’t know enough as much as about trying to copy how they learn outside of school as it is to be aware and to look at that as one other strategy potentially that they could use to leverage learning while in school. Will Richardson: I was thinking about it just in terms of their agency outside of school, that it is their choice, what they want to learn, how they want to learn in and the technology allows that to happen. I think a lot of schools struggle with trying to take that type of learning environment, that type of learning agency and make that happen in classrooms as well. Dr Art Fessler: That is a great point and hearing you say that, I think you’re right that at some point, teachers are not going to have a choice. Kids are going to be so disinterested if they’re trying to control the content in a classroom because just as you’ve indicated that, kids do have complete choice for the most part, an autonomy outside of the school, they’re learning in what they want to learn and they’re pursuing their interest. And I think again, if we can leverage that and tap into that, I think that’s where kids really get passionate about what they want to do, what they want to learn and we can accomplish some great things if we can harness that and tap into that. Will Richardson: And if you’re open to it right, because a lot of schools try to resist that. A lot of schools obviously don’t give kids devices or don’t want kids to use devices in school. They don’t want them to have a lot of autonomy or agency so it’s an interesting moment right? I mean a lot of schools are starting to struggle with that pretty deeply. Just real fast though, one thing that, and I don’t know if I said this to you but I haven’t found a district anywhere, literally, anywhere that does a better job of communicating the type of things that happen in classrooms and then in your school building and with the people in there than you guys. I think that the works that you’ve done on your 59 and 59 videos on a magazine that you send down to family on the branding stuff that you’ve done. I think it’s just exemplary. I want you talk a little bit about why that’s such a big deal for you guys because you put a lot of time and effort, I’m guessing some treasure into that as well, to make that stuff happen. Why do you think it’s so important for that kind of communication and that kind of transparency? You talked a little bit about it before but why do you think it’s so important for schools to be transparent about classrooms especially given the kind of change initiative that you guys are involved in? Dr Art Fessler: Yes, I guess I would start with the fact that softened it in education especially right now, the rhetoric is just not positive which is so ironic because there were so many positive things happening in every school across America and so many school districts just aren’t telling their stories. So we started out with that piece. We should be in one of the most rapidly changing historical times in education. As you know, from your travels, so there’s continuum, some people are still hanging heavily on the status quo but there are others who have embraced this and you probably know the percentages better than I do but I always use the 80-20 rule, but I do think that there are 20% of schools in public education that really have embraced this notion of modern learning and are going after it. To me, it became clear though that in order to bring our community along, in order to bring our teachers along, then we had to celebrate and tell our stories so, as I started in District 59, and even in my last superintendency, and usually the 123, the first thing that I did was actually to build a communications department. I really worked on branding that also connected to the vision for learning and as you see that our vision is to prepare kids to be successful for life and we tried to use that as a litmus test for all the learning happening in our classrooms. If it’s not doing this, we need to question. Is it a good use of instructional time? We’ve tried to train our teachers and their thinking, our leaders and their thinking around that central question but beyond that, we wanted to tell our stories. I think my first year here, Ben Gray who is my assistant superintendent for innovation and communications, we hired an outside firm to do a communications audit and we build a communications plan based on that. Really from that first year, from that starting point, we wanted to put a strategy together to tell our stories. We want to share important things about our staff in terms of what their vision is for learning and then some personal things about them as well. We have a number of central themes and communication points and strategies that we try to send out to both our internal and external stakeholders and again, the primary rationale is just to share the things that we’re proud of and also to allow people in our community and people across our district to get to know our staff a little better. Will Richardson: I’m sure there are other districts out there that do this but you’re the only one that I know that has a branding guide right? That literally, these are our colors. These are our fonts. These are the sizes, all that kind of stuff. I’m just curious as to obviously, you think that that consistency is really important so can you talk a little bit about that? I mean the measure of consistency that you have in your communications and why that’s so important. Dr Art Fessler: I would say that we just want people especially in our community to recognize that we’re very serious about what we do in teaching and learning and in every communication, in every communication strategy, we want that reflected. You know reminds me of conversation I had with a superintendent two or three years ago where they said, “Hey, we’ve got our website. We’ve just updated it. We’ve done it all internal. We didn’t spend any money on it.” I remember looking at the website and I’m like, “What message are you sending with that website? I can’t even directly email you. I’ve got to go through some second hand server to send you email, couldn’t even pull your email of your email address.” If this is your entry way into your district and the first entry point for so many people or if they want to learn things about this, that’s no badge of honor. I mean I recognize that you’re saving money and physical responsibility is important, but communication is also important and branding is also important. To me and now, to my board of education, it’s really important that we look like a professional organization and that every entry point, every access point, every type of communication, really sends a strong message that we’re serious about what we do. We’re professional, this is a professional organization and we simple want to be taken seriously. That was an important part to us. Will Richardson: I love the part two in the videos that you’ve done, and there was one on you but there’s number of them on teachers. I think there was one on a bus driver, on a janitor, I mean it talks about people within a minute, not just what they do but who they are and the types of learners they are and the types of things that really engage them and that they find a passion. How much does that reflect the type of culture that you’re trying to build within the school as well? Dr Art Fessler: Yes, we’ve got an awesome and amazing feedback from a 59-second video. I think culture is so critical. We do so many other things beyond just that 59 and 59 but when we release those, it’s a celebration for that person who’s being honored and recognized. We have hired full time person to do this work who has a degree in communications and photography and the ability to tell that story is pretty impressive. We think it’s one of a number of things but, and we’re really deliberate about trying to do things in our district to build culture. It becomes a challenge when you’re trying to build culture in a significant time of change. Will Richardson: And the community around that as well right? Dr Art Fessler: That’s correct. Will Richardson: Because obviously, you guys look like professionals, you look like you’re caring and just engaged individuals in the work that you do so that when you come to parents I’m sure, and say, “Look, we’re trying something different or this may look a little bit different, I’m sure they probably give you a little bit more leash in terms of those efforts. Dr Art Fessler: I think the important pieces are the conversations that they’re having with their children because there’s no written communication that I can send to a parent that it’s going to be able to clearly convey what we’re trying to do. Again, based on their past experiences, many of them recognize that they weren’t successful as a result of an old system. Now there are others who are going through job changes or retooling that completely get it but I would say that the amount of engagement in learning everything in classrooms in the four years that they’ve been in District 59 is literally through the roof. I mean this is a changed place just in terms of kids owning their learning and then teachers no longer just give kids the answers. They’re showing them how to work out and solve the problem. Our teachers are really asking kids to problem solve and then there’s gaffling support but I also think because of choice, in all areas but we’ve really done some significant things in intraspaced reading and trying to build a passion for literacy in our kids that any of the conversations that are happening at home, I think that the way kids look forward to going to school, with parents hearing their stories that has really built a cloud and trust for us. After my first six months here, I’ve not received hardly any phone calls or feedbacks from parents that there is a concern. Once in a while, I get the occasional why aren’t we teaching kids cursive or some other traditional pieces but for the most part, I think it’s more about parents seeing their kids, and some cases for the first time really enjoy school. I can’t even begin to tell you how much time our span on building community in our classrooms and really trying to embrace diversity. We start every day out with a morning circle and we end the day with the end of day circle or we just come together, talk, reflect, we build in social learning lessons but most of the training is just what to do with the stories you hear and how to respond to kids or engage them in conversation and there are discipline issues, have so significantly decreased each year. It’s amazing and it’s really again, just strategies in building community, building friendships, navigating conflict, it’s really made a significant impact and that’s some of the feedback that I hear from our parents as well and say cannot believe how their kids have changed from an SEL perspective. So we’re pretty proud of that work as well. Will Richardson: I’m hoping that there’s going to be a lot of superintendents or principals or leaders who are going to be listening to these podcasts who are at the point where they kind of know that the world is changed and that they’re going to, that maybe they’re in that 80% that you mentioned that they’re going to have to get onboard and really start to rethink the work, I’m wondering where would you tell them to start? Dr Art Fessler: I think they have to have a clear understanding of what the work is. I think there are a number of people still caught up in the status quo, whether it’s teachers, leaders, and I love that John Maxwell quote where he says that, “If you’re not growing yourself, you cannot effectively grow others.” But I think that’s the starting point, to really understand what the current learning landscape is and then how to develop a vision for learning to really address that landscape and I think if you can, through conversation with your board of education and through your leadership team and your teachers, if you can develop a mission or vision that you can’t refute, that you can’t debate, that may be the most challenging but it’s the best first step. Our mission is preparing kids to be successful for life. It’s very broad but the reality is that’s what we’re doing and we can fit a lot of stuff in that. It’s hard to argue with that. People have to understand what the modern learning landscape looks like and grow professionally and then really begin to empower those around them because you can’t do this by yourself. A superintendent, a principal, none of us can do this singlehandedly. You have to really build the skills of those around you and they have to build the skills, building principals have to build the skills of their teachers and we’ve an added assistant principals at our elementary schools not because we needed necessarily but we wanted our leaders to spend more time with our teachers so if you’re messaging through modeling, through feedback. We could get our teachers to a place of really giving up control in their classroom and facilitating learning at a quicker rate or building capacity at a faster rate. Those are some of the things that we’ve done. I guess my response again would be to have a clear understanding of the learning landscape and then develop a vision to get your district to this place of great modern learning. Will Richardson: Now that you’ve been in this now for a number of years, you’ve been undergoing this process for how long now? Dr Art Fessler: In my current district, this is my fourth year. Will Richardson: In the four years that you’ve tried to navigate this change process, what would you say has been the hardest part? Dr Art Fessler: One thing I’ve learned is that people are not opposed to change but they’re opposed to being changed. It’s a subtle but really significant difference that it’s important to first of all develop a shared understanding of what it is that you want to do and then based on that, just spend the time learning together, modeling, learning, coaching, providing feedback and taking your time because change is possible and I think fast change is possible if you have the right structure and the right plan in place. Let’s face it, the art of teaching; we have highly talented teachers in schools that sit all across country. It’s just the messaging and working together that I think is the most significant and important part because if a person feels like you’re trying to change them, they’re likely going to dig in and change is going to take a long time but if you can get people to a point where, “Yes, we agreed that this is the draft direction that we have to go,” and you can empower and give them voice, you can do some really cool things in a relatively short amount of time. Will Richardson: Listen Art, I really want to thank you for your time, I appreciate it. You guys are doing great work, always interested in hearing about where you’re at, what’s going on and the path that you’re taking forward so, sincerest best wishes on your work and thanks again for taking the time. Dr Art Fessler: Yes, likewise, take care and have a great winter and spring and hopefully we’ll you back out here and working with us again soon. Will Richardson: That’ll be great.